In this third and final part on why the future’s non-invasive, I’ll showcase some of the latest tools we’ve developed for Rejoin and offer a sneak peek into the design process that enables WILDDESIGN to continually deliver dynamic and coherent tools. Please visit part 1 & part 2 to get up to speed with the story. In between the time of my last article, the Shanghai team managed to prize some key Rejoin personnel from their development desks for an interview during a milestone meeting. Rejoin’s founder, Mr. Xu and the GM, Mr. Huang, were prompted on a series of informal conversations about the company’s birth, their brand essence, our design partnership and where they now saw themselves within the sports medicine market. It’s with great pleasure that I bring their feedback and efficacy into this concluding article. We thank them for their time and for the long and prosperous design partnership ahead. Our discussions began with Xu clarifying why Rejoin entered into the sports medicine market. Insisting his interest came about “through the needs of the patient”, Xu explains that in China, “sports medicine is still a blank field in relation to non-invasive surgery. Lacking suppliers, it is a blue ocean market, which drives us to establish an international brand”. Since this was Rejoin’s first experience in working with a medically focused design consultancy, Xu states, “our expectation was to be offered systematic recommendations to guide us towards a more comprehensive and complete service for our brand”. 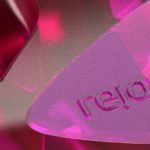 When asked if he felt the design of these tools met Rejoin’s original company vision, Xu responds simply, “Yes, it does. The product design keeps being strengthened and the design language extended”. 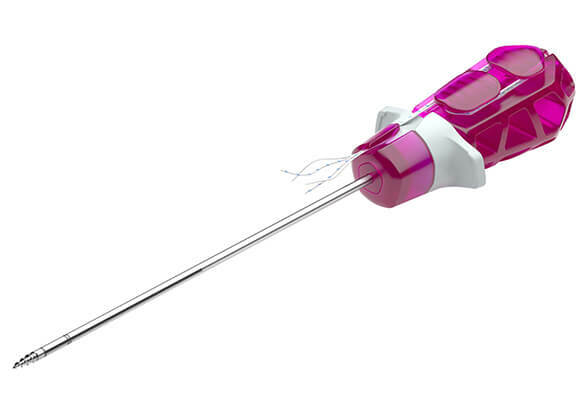 Until our last count, we have now designed and developed 15 unique surgical tools or apparatus and facilitated the development of simpler apparatus via a design language manual. 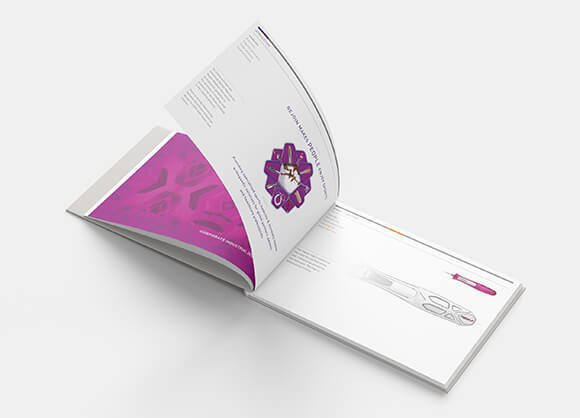 This manual, which I’ll detail later, allows WILDDESIGN to speed up the design process with predetermined decisions on product essentials such as colour or finish, thus improving efficiency and freeing up valuable design resource to focus on new or more complex, technological developments. 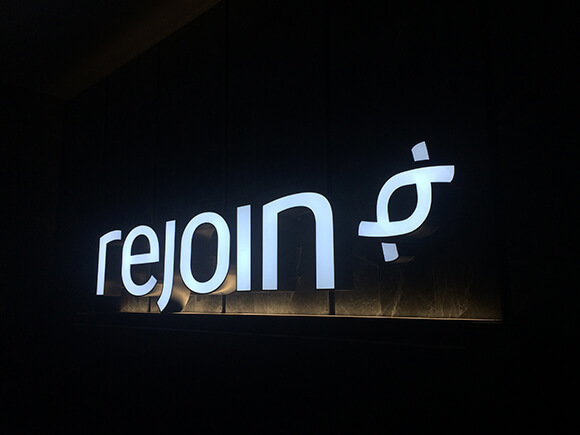 As Rejoin’s portfolio grows, Xu explains, “we now have the confidence and core competencies to face the challenging market with high practicality. Starting from China and extending to the global market, Rejoin will not only be innovative but also a key influencer for academic research”. Piece by piece, tool by tool, we are getting closer to achieving this vision locally within the APAC market by offering complete and bespoke packages of highly specialised tools for specific bodily regions. One such package for the shoulder, literally in the form of a toolbox, is designed specifically for arthroscopic surgical tools that aid its repair. 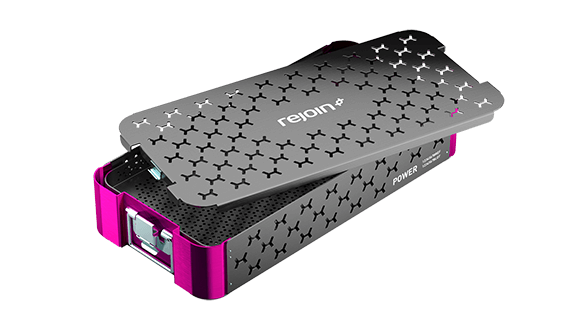 The idea is then to have a series of toolboxes for every conceivable region of the body that requires arthroscopic surgery. It’s as if WILDDESIGN and Rejoin are the F1 engineers, developing the tool, analysing the data from user tests and improving the function, whereas the surgeons and hospital staff with their unique toolboxes, are the pit-stop mechanics, dealing directly with the physical work, working under a huge amount of pressure and combining a vast and complex array of knowledge to get the job done efficiently and effectively. It goes without saying that as patients, we like to think that the job is done carefully, never against a pit-stop clock, or that our bed’s lap time isn’t a world record upon leaving the operation room. 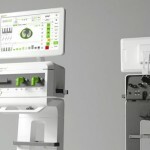 In truth though, time constraints for speeding up operations that ensure quick turnarounds to deal with the increasing demand and reduced costs, coupled with the inherent success of non-invasive techniques, are exactly the reasons why non-invasive surgery thrives as the primary, ‘go-to’ method for fixing sports injuries quickly. In many ways then, the constraint of time should be seen as a blessing in disguise, since it initiates more efficient work flows and requires a constant, innovative mind-set. I should mention that dealing with fire burns, being hit by ankle shearing cars, electric shock, heat exhaustion and foot blisters fortunately aren’t job requirements as a designer (perhaps if you live in Shanghai on seconds thoughts). Regardless, we can learn to adapt ourselves to time pressures, accepting the odd bit of chronic fatigue here and there, in the knowledge it will drive innovation (injecting coffee into your eyeballs unfortunately does not count). It’s therefore natural, that we as a design agency move and thrive in the same way as the medical industry, by offering the likes of Rejoin with quality, time-factored product design that adheres to strict usability requirements and aligns with the brand’s short and long term visions. To achieve Rejoin’s global aspiration however, we too as an agency must think global, broadening our understanding of the entire sports medicine market and in turn, establishing a design language that facilitates coherent and highly functional products that compete with larger, more established players. One such method we continue to use at WILDDESIGN for our clients, is to compile all product and user-experience know-how into a digestible, user-friendly manual which acts as both a guide for future product developments and an internal company asset. We call it the Corporate Industrial Design Manual or CIDM for short. This manual can be adapted for large companies when product differentiation is needed to diversify a portfolio or for small scale companies, when there is a need to establish design language early on. Whilst the CIDM is sometimes considered the Bible of industrial design for a brand developing products, it should not however be used singlehandedly or be treated as the solution to design problems. 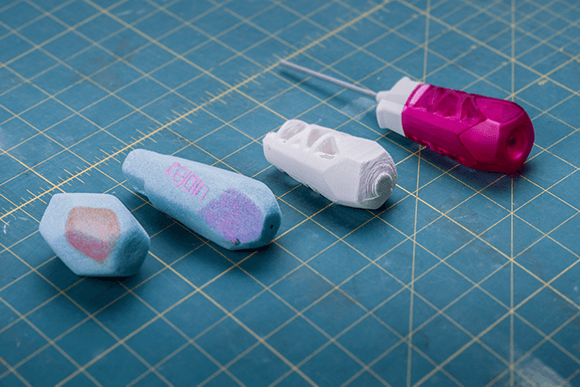 Since each tool or development has its own unique set of problems, it must be combined with in-situ design knowledge gained from user testing and practical phases such as prototyping or rapid iterative ideation. Furthermore, given the fluctuating nature of projects, the design team should still hold the discretionary keys to design decisions, judging how and when to use the manual or if a degree of flexibility is required. In this sense, it should be considered as a living document, evolving at appropriate milestones along a company’s roadmap. It was clear from our discussion that Xu considers the surgeons feedback to be paramount to Rejoin’s success. By focusing on functional requirements and hinting towards improved professional training, there is now a need to orientate Rejoin towards a service design model, especially given their intention to grow and become a hub of academic knowledge. It’s encouraging to hear that the brand is known for its unique product design and that this promotes their brand image since it sums up the main intention for performing a CIDM. Corporate industrial design rather than just one-off industrial design is the key here, or in the words of Mr Xu, “the customer may not catch the point if we introduce a single product, so it’s important to present our products systematically, using different methods and different communication languages for different target groups where necessary”. Whilst there is still a long journey towards global success, the current CIDM forms a solid foundation for building an extensive and coherent product portfolio whilst serving the brand with an identity to behold and own within their segment of the market. Since Rejoin are only bound to grow, it’s important that we nurture the CIDM throughout our partnership, honing in upon the key design characteristics that make them the Rejoin brand whilst extending the design language upon potentially new developments. From a branding perspective, Xu concludes by saying “the discussion about the product design is now clear and smooth. The imminent need for branding however, now requires the designers (WILDDESIGN) to provide a range of professional and experienced services. We need to stabilize our development team and continue with good communication to our customers, ensuring we meet the quality standards and expectations set through our final products”. In conclusion, we’re really only at the beginning. From witnessing the conception of Rejoin to their success within China over 3 years, it’s now essential to shift our professional support towards branding, marketing and look for innovative ways to motivate sales. 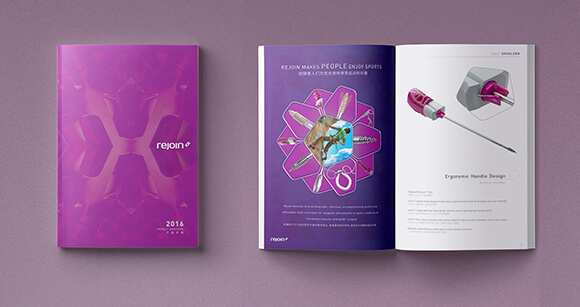 Whilst the recent product brochure we completed forms the start of this next chapter, it too will morph and flex as we feel our way through customer feedback and evolving brand strategy. Whilst the future is most definitely non-invasive, sadly as designers, the same cannot be said for our upcoming holidays… ‘Jiayou’ (加油)! We hope you’ve found this three part article informative and engaging. If you want to reach out to discuss this or any other project, please get in touch. Do you want to learn more about how CIDM’s could benefit your company OR are you eager to know how your brand or product can enter the Chinese market? 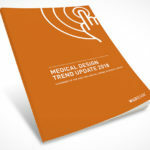 Please get in touch and if you haven’t done already, you can download the Trend Report eBook free of charge!